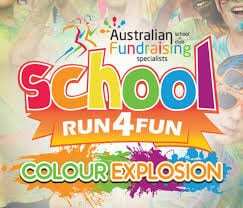 Thank you to date for your support with our School Run4Fun Colour Explosion. Fundraising is full steam ahead! How are you tracking towards your fundraising goal? If you haven’t already, create a Profile Page at www.myprofilepage.com.au. There are some awesome features like setting your fundraising goal by choosing your favourite prizes. You can also register for online fundraising – it’s the key to your success! Share your Profile Page to family and friends anywhere around the world and request support! The average raised is over $120 per student. Don’t forget to see if you’ve won FREE sponsorship donations by using your unique code on page five (5) of the Sponsorship Form. Once logged in, view the school’s leaderboard and see where your child ranks. The highest fundraising student at the completion of the fundraiser will go into a draw to win a HUGE Apple Prize Pack.